Choosing a cleanser is not a simple task. We’re not just going to stroll into the drugstore and blindly choose whichever one’s at the corner of the aisle. We have to consider our skin type, the ingredients inside and the rest of our routine. We also need to know what other people think of it! We want to hear real results and real testimonials, especially from someone whose glowing skin we can see for ourselves. The Obagi CLENZIderm M.D. Daily Care Foaming Cleanser has passed our test with flying colors. Food Network star and actress Ayesha Curry loves to experiment with skincare, but she always falls back on this trusty cleanser to keep her skin soothed. We’ve always been jealous of her loving relationship with NBA soon-to-be-legend Steph Curry, but we might be even more jealous of her skin. Thankfully, it might not be so hard to achieve after all! 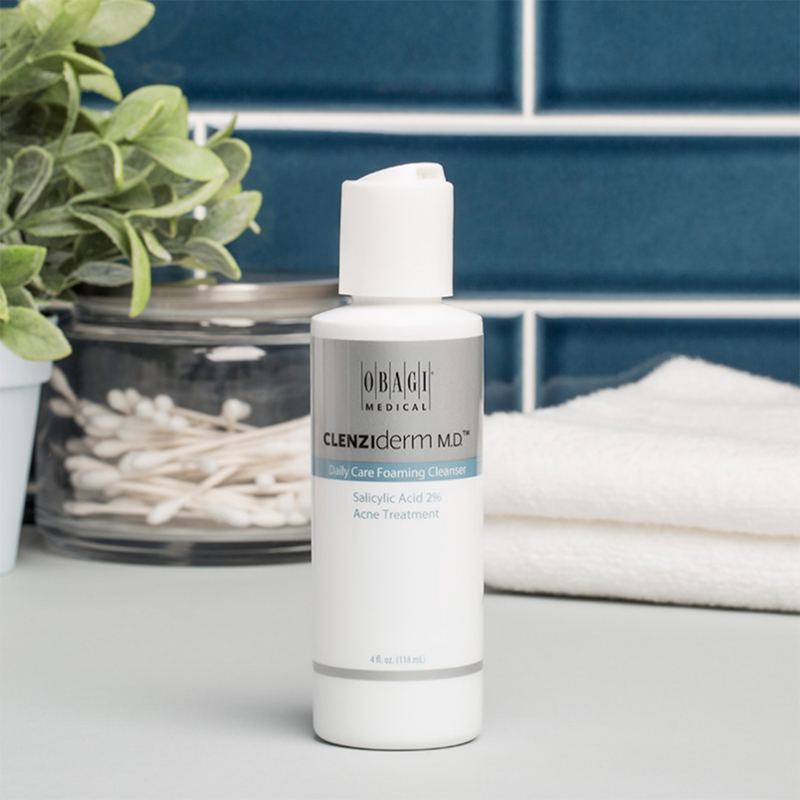 See it: Get the Obagi CLENZIderm M.D. Daily Care Foaming Cleanser starting at just $33 at Dermstore! One shopper said that “this cleanser will bring life back to [our] skin,” explaining that their aesthetician recommended it to target their hormonal acne and it made a difference “within the first two weeks!” Another happy skincare lover said since they started using this cleanser, their pores have visibly shrunk and they “never get the occasional pimple” that used to visit on a weekly basis! One shopper called themselves a “fan for life” and another said their skin feels “so refreshed” every time they cleanse. This cleanser is meant for those with oily or acne-prone skin. Often, the two are lumped together in one stubborn package, but not always! Its key ingredient is 2% salicylic acid, an ingredient we’ve probably spotted in acne care before. Salicylic acid may target acne-causing bacteria to help us not only eliminate and heal already-there breakouts, but to prevent new ones from popping up as well. If we succeed in preventing acne, the healing process becomes that much easier, a.k.a. it becomes non-existent! To get into the details, this cleanser claims to remove “dirt, oil and other pollutants” from our pores, unclogging them for a “more balanced complexion” that we’ll love to show off. Acne treatments can be harsh at times, but that’s not a concern of ours when it comes to this foaming cleanser. Its “innovative formula” is meant to sooth our redness and irritation using menthol, all the while fortifying pH levels to balance sebum production. Excess sebum equals an oily T-zone and we’ve never quite been a fan of that! Once we start using this cleanser, Obagi claims that our blemishes will begin to heal “immediately.” Patience is a virtue, but anything able to hasten our journey to glowing skin is going to be moved straight up to the top of our priorities list. What can we say? We like results. 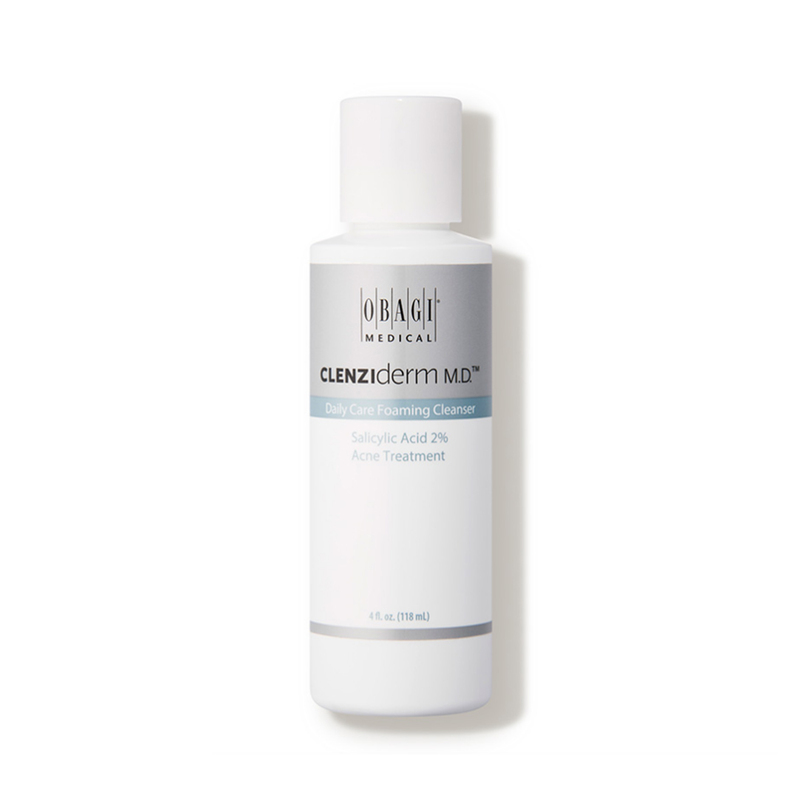 This cleanser is dermatologist approved, as well as free of parabens and phthalates. These ingredients are popular for their ability to extend products’ shelf life, but they can ultimately do damage to our skin and body! We greatly appreciate any company that finds a way around using them. We can use this cleanser in both the morning and at night. We start by wetting our face with warm water. We can then squeeze a little cleanser out of the bottle and begin to massage it around our face and neck. Avoid the eye area! If we’re wearing eye makeup, remove it first using a makeup-remover pad or oil cleanser. After at least 20 to 30 seconds, rinse and pat dry with a towel. It’s then recommended that we follow up with the Obagi CLENZIderm M.D. Pore Therapy treatment for maximum acne-fighting power! Don’t forget to moisturize after, as we should do at the end of every skincare session, no matter the time of day. In no time, we may have skin just like Curry’s! And like her, it may offer us the opportunity to experiment with other treatments as well, such as serums or spa facials. She told INSIDER it’s a “series of trials and errors,” but we know our skin will have a calming cleanser to fall back on. Could this cleanser be the answer to airbrushed skin without the airbrushing? Signs are pointing to yes, but there’s only one way to find out! We normally hate washing off our makeup at the end of a long day, but we’re looking forward to it now. Looking for something else? Check out more from Obagi here and other cleansers and exfoliators available at Dermstore here!